Our next influencer is a fellow blogger, and a gal with serious style–Chloe Curnel. I’ve been following Chloe on insta for a few years now, after initially seeing her fab style via a boutique she worked at. It’s been so fun following along as she’s graduated, moved to a new place + started a cool job, and recently got engaged! Keep reading to learn more about this fab fashionista who’s with it. A: I am a fashion stylist for Dillard’s corporate advertising. I graduated from the University of Arkansas in 2013. Before graduation, I went through the career center at the University and interviewed for Dillard’s Executive Development Program (EDP). I landed the job and in June, started working in the Div. 4 buying office as an assistant buyer as part of the program. Phase two of the program, I was sent to work as an Area Sales Manager at the Dillard’s flagship store in Little Rock. It was when I was out at the store that I decided I did not want to return to the buying office. So I left the program, and voiced to upper managment that I wanted to work in the advertising department. I interviewed with the Vice-President of Advertising, Creative Director, and Studio director at Dillard’s and was offered the position of fashion stylist this past January. A: I was an apparel studies major at the University of Arkansas. A: Luckily, I haven’t many encounters with this, but I am a firm believer in actions speak louder than words. Work hard, be kind, be professional, and that is what will make you successful in your career. Don’t give anyone a reason to treat you differently just because your a women. A co-worker gave me some wise advice. She said that “As women, we have to build each other up. Make each other stronger, and praise each other for accomplishment.” This is SO true and SO important. Women have a tendency of letting envy and jealousy get the best of them in the workplace. We can’t do that, we have to stick together and help each other learn and grow. Q: Who are your mentors or role models, and why? A: My mom, Karen Curnel, for her caring and loving spirit, and her ability to follow her passions. She just decided to take up horseback riding in her fifties! She is not afraid to try something new. My old boss and dear friend, Becca Brisiel. She also, has such a kind, giving spirit. She was the best boss I will ever have. She lead by example. She taught me the importance of staying true to yourself, as well as the importance of kindness in the workplace and giving back to your community. A: When I was working as an area sales manager at Dillard’s, I had multiple times where I felt unsure about my managing skills. I had 18 employees under me, and at times, was in charge of the whole store. I had employees of all ages and backgrounds, and sometimes it was difficult for me to be confident, demand respect, and feel in charge. I am by nature not a confrontational person, and being a manger puts you in some confrontational situations where there is a need to be authoritative. I had to overcome the fact the I was young and lacked experience. Everyday I learned something new about my team and myself. When I would make a mistake, I would do my best to learn from it. I sought out help from my bosses and fellow co-workers when I needed it, asking “How would you handle this situation?”. I learned that I couldn’t manage everyone the same and that it would take different tactics to gain respect from my employees. It was the most difficult job I think I will ever have to do, but it is the job that taught me the most. A: Yoga, photography, fashion, antique shopping. I also have a style blog called Nomad en Vogue. It is just a hobby, but it is a great creative outlet. I’m planning a wedding right now, which has turned into my biggest hobby, or should I say “time consumer” at the moment! Hah! Q: Is there anyone you think that is making a difference in women empowerment that you think we should all know about? A: My sister, Kelly Stuckey! She owns a small business in Fayetteville called Crown Beauty Bar. She empowers women everyday at work and through social media! Q: What do you do in your free time to relax? A: Just give me HGTV, a glass of wine and some cheese. Just kidding! But, not really. I love to antique shop, usually alone. I could wander around looking at antiques forever. But I feel the most relaxed when I’m with my fiance and our dog, Bella. A: Don’t sweat the small things, and don’t worry about what you can’t control. Also, don’t worry so much about what others think because you can’t make everyone happy. Stay true to who you are, be kind, work hard, and always look for the positive. Also, take care of your body and wear sunscreen everyday because the wrinkles will come! A: Girl em[Power]ment is all about us gals supporting each other and building each other up. The internet is can be such a positive or negative tool. With all the negativity that resides on social media, it is SO important for girls to take a stand and not take part in it. 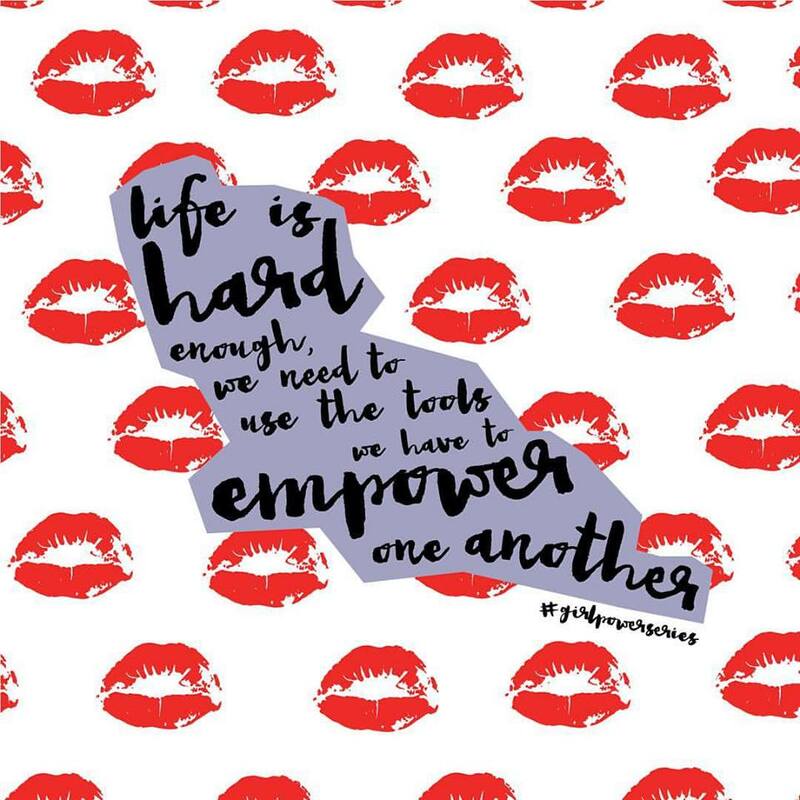 Life is hard enough, we need to use the tools we have to empower one another. As Chloe said, it’s so important to support each other + build each other up, which really is what Girl em[Power]ment is all about!! Stay tuned for the next influencer, and be sure to follow along on our insta–@girlempowerment. Posted on October 28, 2015 by flancake13	This entry was posted in Girl em[Power]ment Series and tagged arkansas, blogger, dillards, fashionblogger, girl empowerment, girlboss, girlpowerseries, little rock, women empowerment. Bookmark the permalink.